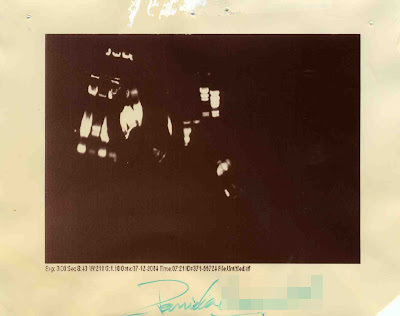 "I found this gel picture in the drawer of my desk when I joined my lab. As it was so incredible, I asked around about its history. It turns out it was the first gel ever run by one of our undergraduates. I had her sign it and have had posted on my bench ever since. Ahh... undergrads!"